HR recruiting is a challenging task – businesses are adopting various tactics to bring the best talent onboard. The best strategies and practices such as company branding, hiring techniques and social recruiting help hire and retain top talent who contribute to company success. Build and promote great career websites, distribute job openings on social networks and make sure your website is mobile responsive. Allow your employees to participate in blogging, social media and online discussion boards. Engaging your employees can create a connection between them and up-coming talent. This can help build the most honest and useful business profiles possible. Build your business culture on the expertise and experience of current employees and projects that allow you to honestly portray your mission to job seekers, attracting candidates who share the same values that you want to promote within your organization. Mobile recruiting apps make it easier for the candidates to connect with potential employers at their convenience, whenever and wherever with just a click of a button. These apps offer an easy approach to job searching; candidates can easily view the positions that do or do not interest them and can connect with employers accordingly. HR recruiters can post jobs and connect with potential candidates via these apps, which provide access to talent-pools and allow them to connect with talented candidates on the candidates’ terms. This aids HR recruiters to become promoters of the talent pools and make it easier for applicants to connect and develop their careers. Social media has changed the landscape of HR recruitment; it provides a platform where HR recruiters, employers and candidates can connect long before the official recruitment process takes place. Businesses can use social networks to promote open positions and find top talent. It allows HR recruiters to learn about and discover more about potential hires, and significantly, allows candidates to learn more about the organization. Social media removes many of the traditional filters and barriers that are involved in the traditional recruitment process. 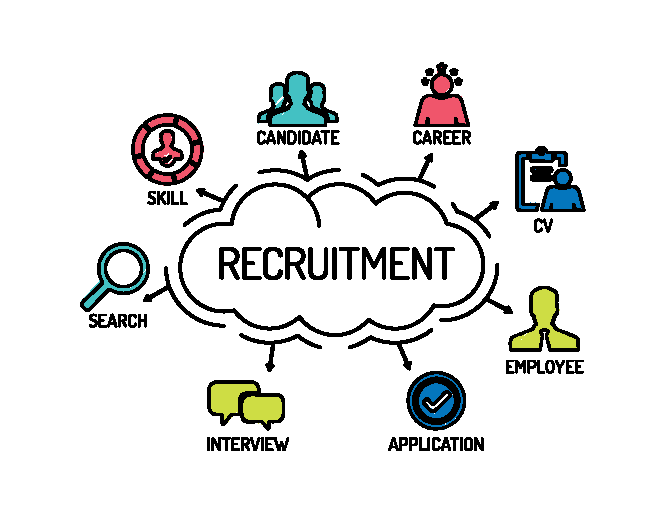 Implementing these recruitment strategies along with a robust software solution can help businesses stay ahead of the competition.The recruitment software offers a centralized platform that ties many aspects of the recruitment process (requisition creation, automatic job posting to various job portals, applicant tracking and screening, ranking and sorting, scheduling and conducting interviews, creating and issuing offer letters) together into one cohesive process. Schedule a demo today to learn more about SutiHR Recruiting software. Are you putting your HR data to good use?